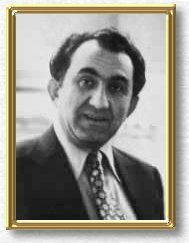 Tigran Vartanovich Petrosian was born in 1929 in Tbilisi, Georgia of Armenian parents. His parents died before he was 16 and he found consolation in chess. He was greatly influenced by Nimzovitch's theories and his play was deeply prophylactic, preventing any	plans his opponents might come up with. He enjoyed slowly improving the position of his pieces and closed positions where he could quietly fight for the control of key squares. His style of play made his games less accessible to anyone other than masters and this made him one of the least popular of the World Champions. He defeated Mikhail Botvinnik in 1963 to become World	Champion and lost his title to Boris Spassky in 1969.